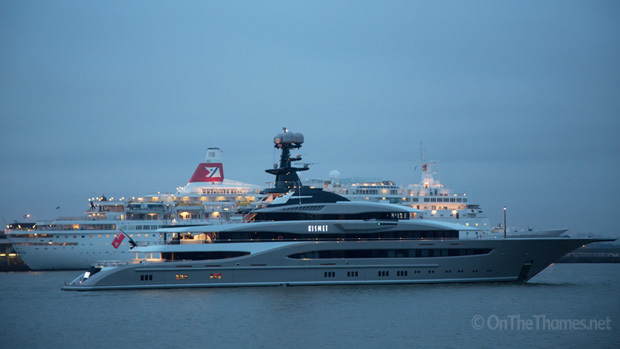 THE LUXURY yacht Kismet departed London early this morning. 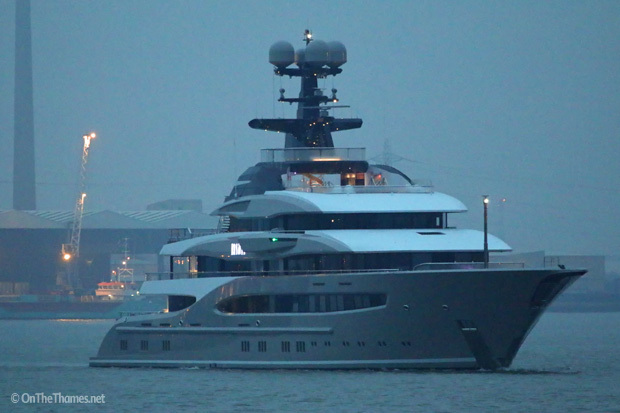 Shahid Khan's superyacht, which made headlines during her stay in the capital, departed West India Docks after 0530 and is pictured here passing Gravesend outbound shortly after 0700. The luxury vessel began her visit to London by mooring at St George's Stairs, just down river of Tower Bridge, and it is believed she hosted parties last weekend when Khan's NFL team the Jacksonville Jaguars were playing in London. 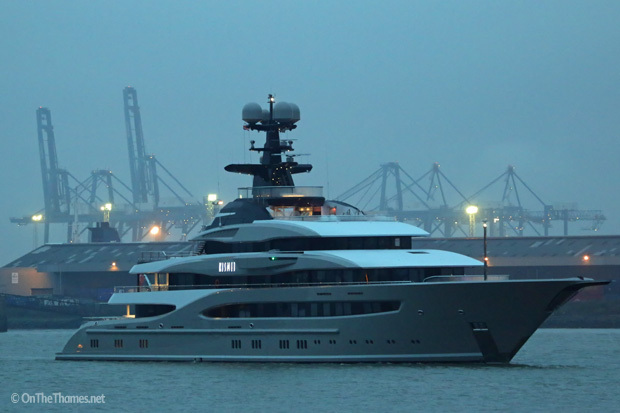 The brand new 95-metre long yacht replaces Khan's previous yacht which had the same name and was bound for Gibraltar when she left London today. 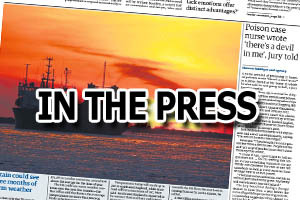 Kismet passing the cruise ship Black Watch which had arrived at Tilbury cruise terminal an hour earlier.